Why Did We Create SeniorLiving FAQ? We encourage you to watch this short video (one of our most popular video ever – with over 27,000 views). Her message is profound and powerful, and illustrates clearly that there are passionate, caring people out there who will take care of our seniors with compassion, dignity and respect. SeniorLiving FAQ wants to make it easier and safer for families to connect with people such as Melinda. This bold statement was made by Senator Rob Portman in 2014. That’s a lot of retirees, and, by most math and accounting, this figure is more or less true. That’s almost 4 million people a year, many of whom, within this latter phase of life, will be needing some type of housing assistance – or Senior Living. 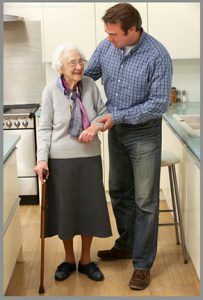 Often times this means moving into an Assisted Living Facility, or Nursing Home. Clearly, with this many people retiring each day, this is often seen as a number of “customers” created each day by our Assisted Living Industry. There is, as a result, an inherent and very pronounced profit motive. This creates an environment of stiff competition to ‘fill beds’ – which is often done, in the beginning, by collecting personal information when families begin their facility research, usually online. When you do a search online for something like “Assisted Living Facilities” you’ll be greeted to as many results as there are people in North America. Most of these results are questionable at best. Often times, most of the results near the top are commercial senior living websites that masquerade as informational, authoritative resources. These sites are quite adept at funneling you through a maze of facilities or ‘information’ that ultimately lead you to the ‘form fill’ or personal questions – all intended to ultimately shop you, or your loved-one out to the highest bidder (bidders, of course being Assisted Living Homes or Nursing Facilities). Don’t get us wrong, there are a handful of referral organizations out there that offer a genuinely helpful services to many families. Beware though, that there are many more with questionable motives, experience and ethics. Ultimately, it’s up to the seniors, and their families to use extreme discretion and care when researching online, and to be even more discerning about who you provide personal information such as phone numbers and addresses. 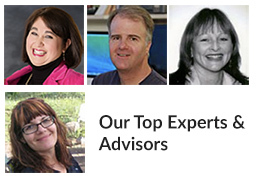 The writers and contributors for SeniorLivingFAQ have been helping seniors and families for over 14 years. We have come together to create a place that shows you how to research Assisted Living, Nursing Homes and other types of Senior Living Options through trusted resources. Most of the time, you don’t need to go past using the plentiful State resources and databases to find care. Using State Resources bypasses the typical commercial Senior Care site, thereby eliminating much of the profit motive. 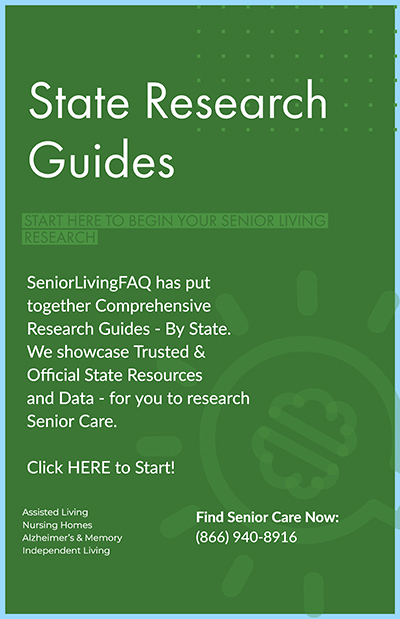 Our growing YouTube Channel offers video tutorials on how to Research Assisted Living using trusted state resources. We also provide instructional videos on how to look up Assisted Living Facility Inspections, Citations & Complaints Reports.